I recently had the quickie facial with Jodie and she was absolutly amazing! It was by far the best facial i have had in a while. The room was quiet and relaxing, everything you want while having a facial. I will be back again!! The front desk staff were very sweet and welcoming. My esthetician Jasmine made me feel comfortable during the waxing and had great technique. It was one of the best waxing experiences I've had. 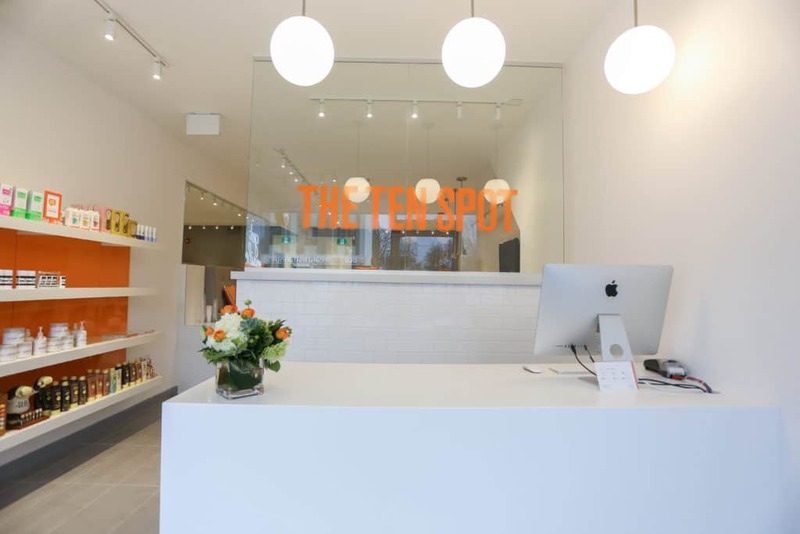 We always have a great experience at Ten Spot on Bloor West. The service level and people are elevated. Our most recent appointment was with Jodi & Jasmine and they are amazing! We’ll definitely be coming by more regularly. This would be my 4th time going to The Ten Spot - As soon as you walk in you feel welcomed and taken care of. Professional, clean, friendly service. Will be back - Thank you Jodie!! Welcoming and friendly staff! Yulia always does wonderful work on my pedicures. I love how spotless the shop is and the attention paid to making sure it is a healthy place for clients. Great job! The Ten Spot surpassed my expectations! Nadia G is absolutely amazing. I highly recommend this place and Nadia. I have been coming the BWV ten spot for over 6 months and I only have great things to say! They are so accommodating when I have to change an appointment and the staff are so professional and friendly. Great job! Love the Ten Spot, love this location. I have had several estheticians at this location and had amazing experiences with every single one of them. Very clean, very welcoming and amazing service. Thank you for the super awesome experience getting the quickest, most pain-free laser hair appointment ever. Loved how friendly the staff is here, and how super clean everything was. I'll definitely be back! I had the Brazilly today with Jasmine and she was fast, thorough and friendly. The treatment room was clean and comfortable. Loved the t.v. in the room. Watching Friends made the pain less noticeable. Would definitely return and recommend.